At the end of this post is a simple comic strip I created, one day, after reading through a book called “Catching the Big Fish: Meditation, Consciousness and Creativity”. The book offers up a collection of tips from David Lynch – yes, that’s the same David Lynch who brought us the likes of Eraserhead, Twin Peaks, Blue Velvet and Lost Highway… a man who, it would seem, owes much of his success to the daily practice of Transcendental Meditation. David Lynch is something of an enigma, as everybody knows. I love his work but at the same time I find it frustrating. His path to creative greatness was a truly unique one and as such, very difficult to follow. Abstraction and surrealism will more often kill a career than make one – and while Lynch has proved it’s perfectly possible to put a dancing midget in a TV sitcom or a psychological Kabuki demon in a feature film, if almost anyone else tried to do it… they’d probably get laughed away as self-indulgent navel-gazers. This makes me slightly wary of Lynch’s artistic advice, therefore, although “Catching the Big Fish” still makes for an inspirational read. Pick it up if you can find a copy. 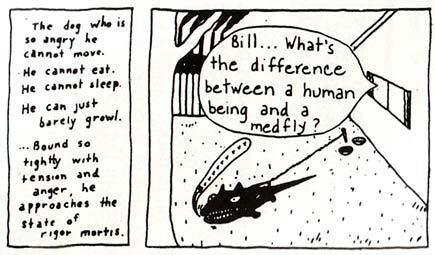 One thing in the book that caught my attention was The Angriest Dog In The World, an absurdist comic strip created by Lynch between 1983 and 1992. I’d never heard of this strip before (published in the LA Reader and the Village Voice, it never appeared in the UK press) but it struck a chord with me nonetheless. What intrigued me most about it was this: Lynch only ever drew the strip once – four self-repeating images of a dog straining on a leash – but he kept it fresh for nine years, simply by updating the dialogue. His visual framework was flexible enough to allow for an almost endless stream of scenarios… but when you look at the strip itself, it seems anything but flexible; all of the hand-drawn panels are virtually identical. As a concept it’s a total paradox and yet somehow, it just works. 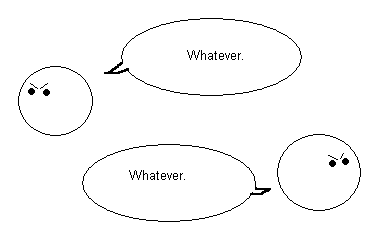 FIRST PANEL: Sphere 1 makes a comment to which Sphere 2 responds. 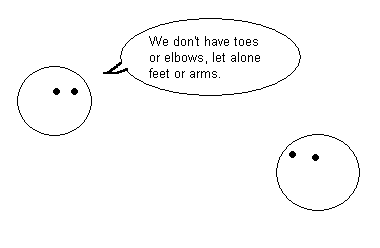 SECOND PANEL: both spheres stare blankly for a moment. 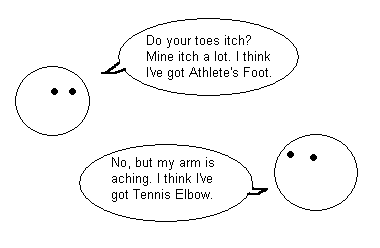 THIRD PANEL: Sphere 1 makes a comment that negates their conversation. 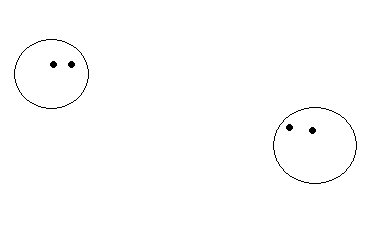 FOURTH PANEL: both spheres turn away in irritation. My childish artwork appears below. All comments are welcome!